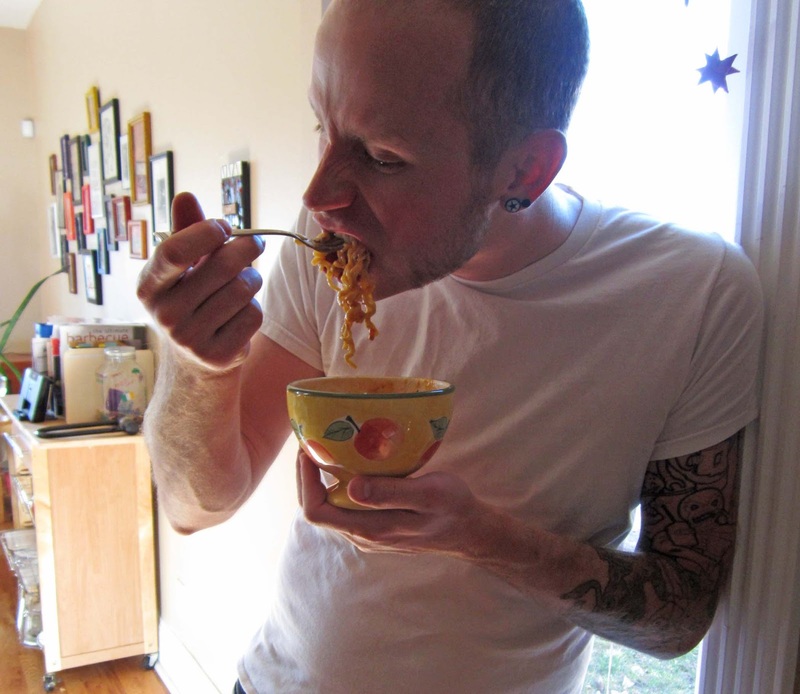 Beth's Super Awesome Blog: A newfound love for Ramen! For some reason the last time John and I were at Costco, we decided to get an entire palette of Ramen noodles. I think the whole thing (about 50 packets I think?) was about $7. You can't beat that. Lately there's something about these wavy little noodles that have been gettin' me craving them on a daily basis. I think my new favorite thing is to just make the noodles & drain them, then add my own sauce & toppings. Hells yeah! That's what I'm talkin' about! This is just some simmer sauce that I bought in the ethnic foods aisle of the grocery store. 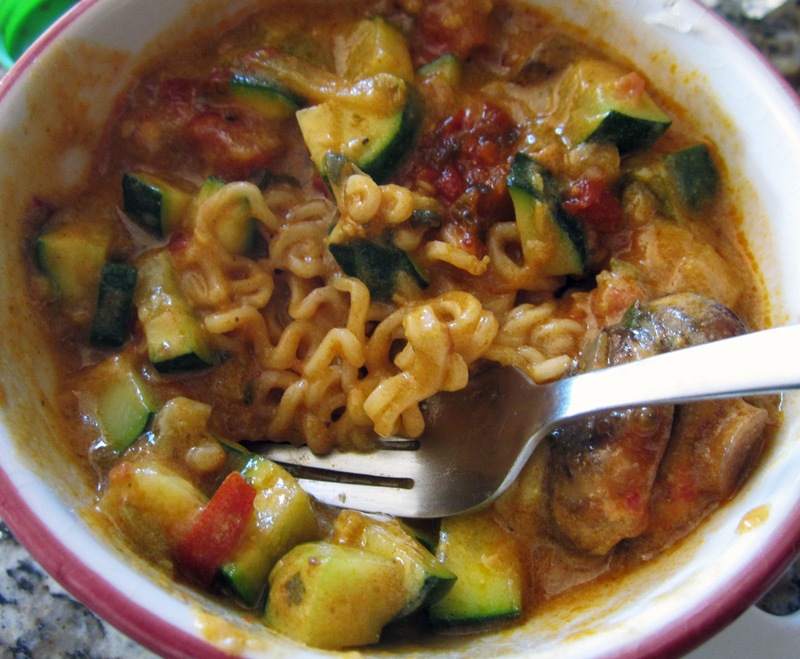 I think it's the coconut curry one, but I can't remember. I also love adding Madras Lentils (it tastes just like a creamy chili), with a splash of soymilk & hot sauce. YUM!! Above I added sauteed zucchini, red peppers, onions, garlic, and mushrooms. It was scrumptious! Today for lunch, I topped it with asparagus, onions, and seared tofu. Seriously, I can't get enough.